In 1924, a professor named Hidesaburō Ueno in Japan was a dog lover and wanted a pure breed Akita dog and kept searching for it for a long time until one day his friend suggested him to adopt Hachiko, from the Odate city. 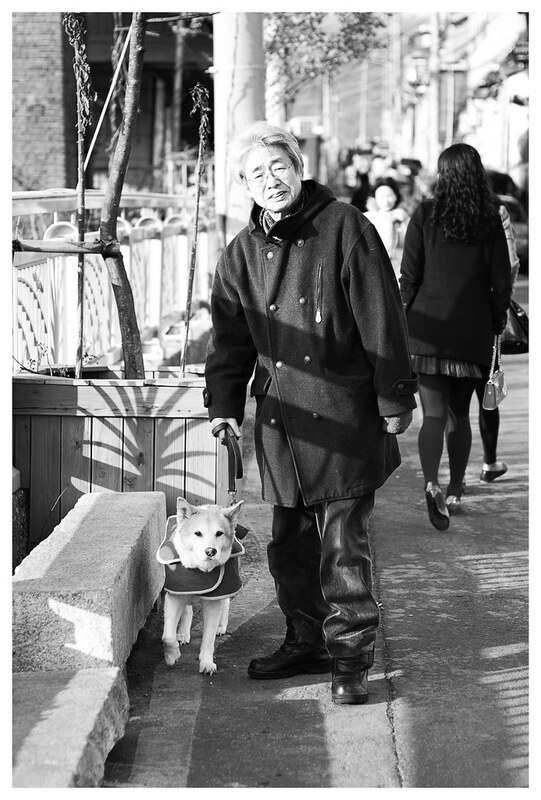 Hachiko, or Hachi which became his nickname, and his new owner soon became best friends, and Ueno loved his dog above all and treated him as his son. The two of them were inseparable.They loved each other more than anyone and cannot be parted away at any cost. Soon, Hachiko saw his master going to work in the morning at the Shibuya Train Station, in central Tokyo and return back at the afternoon. The dog then started to go by himself to the station to pick him up there. One day, after two years, as usual he was waiting for his master to come back at the station in the ideal time in afternoon. However he did not receive up that afternoon. However, the dog did not lose hope. He kept waiting there for him till the night and again the next day. However, his master did not come even the next day. Still The dog kept on waiting for his master. Actually, what had happened was that Proffesor Ueno had suffered from a cerebral hemorrhage and died suddenly and unexpectedly while at work. Still, the dog did not lose hope. He waited and waited and waited for his master. He slept there only on the station, woke up and again sat down to recieve his master. He stopped eating, since he would only take food from his master. It soon became the attraction for many and many of them tried to convince him that his master had died and was not going to return back. But still that dog wouldn't listen. They also tried to offer him food which he rejected. He waited like that for the next nine years, nine months and fifteen days., found dead waiting for his master. The story of the dog that never gave up gained a lot of attention also in national media, inspiring many people from all over the world to visit Hachiko at Shibuya Train Station to offer him treats.In 1934 a statue of Hachiko was unveiled at a grand ceremony in front of Shibuya train station with Hachiko himself present as the main guest. Today the Hachiko bronze statue is a popular attraction outside of Shibuya train station, especially among young Japanese. There has actually been made two Hachiko bronze statues. The first one was removed during the World War II and melted as a source of metal. Also on the wall of the Shibuya train station there is a huge beautiful mosaic art work of Hachiko. In 1987 it was made a movie in Japan about Hachiko, called “Hatchiko Monogatari”. In 2009 Hollywood made an American version of this movie, called “Hachiko – A Dog`s Tale“. There have been published many written articles and books about him. Hachiko waiting for his master at the station. Hachiko stands with a shopkeeper of Suzutake meat at the Shibuya station. The bronze statue of Hachiko. The grave of the dog beside his master built up a monument. Did you became the administrator? Yes, you are correct. Now, the three Administrators are MathsIsFun, bob bundy and me. Congratulations, ganesh for your promotion!